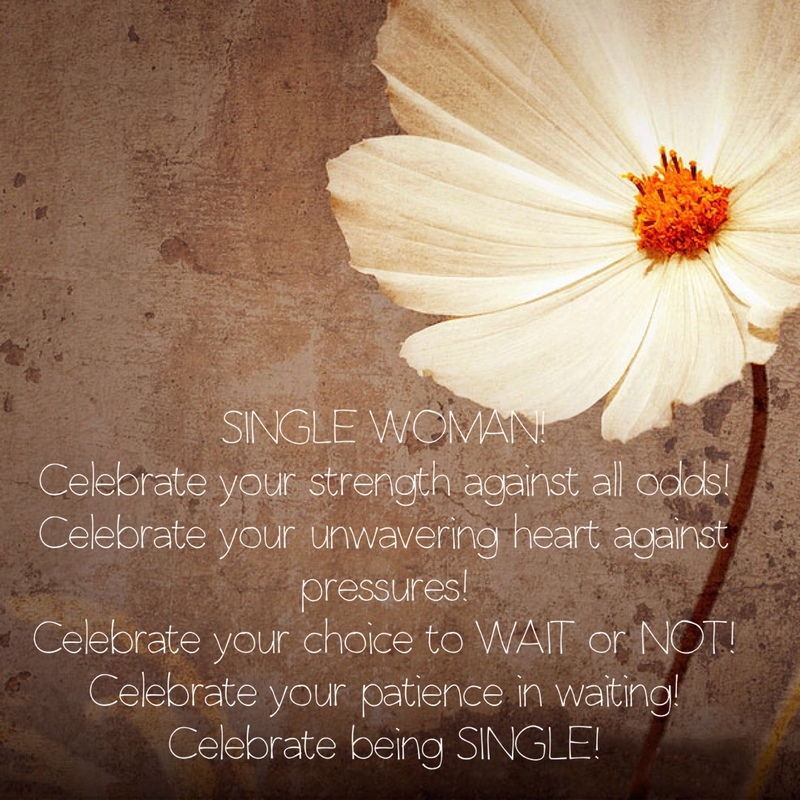 The journey of singleness is one worth celebrating. We celebrate love, all the lovers out there, especially the single lovers out there hoping to spend the rest of their lives with a special person of their choice. The majority of married folks never truly admit how they get stuck in between, due to inconsistency in their marriage; which often leaves them wishing for something more- when in fact, the power lies within them to bring back the fresh wine. While the goal of today's blog is not to poke at married folks, it is something for the single woman to think about. If you are actively wishing to be married, here's a juicy nugget for you to chew on real quick. The ONE that God chooses? The ONE that checks 90% off your list? However way The ONE happens, I think it is important for you to know that you are responsible for the consistency of your love life, the romance and butterflies and whatever else you crave for after that GRAND Wedding. Two years ago, I was single and it was so easy to have married anyone, just any guy. I once fell for that crap. Where I actually thought marriage could work with just anyone. No one will change for you. That's a Big Fat Lie. In fact what you see, is the best you'll be seeing for a while until personal growth kicks in for you both. Which could be NEVER. So marriage is a big leap of faith you know. Being single is FREEDOM to be your own boss but no access to guaranteed companionship. Being married however is having legal access to a companion but no freedom to be your own boss. Hmmn... sorta, so make your choices wisely. There is absolutely nothing wrong with being single. You just have to figure out which matters to you the most. I will tell you straight up about myself. Even after going through a devastating experience, I was still a sucker for love 🙈. Except, I became wiser and knew what marriage should feel like and what marriage truly is about. It's not about me, not about the man, but about the Kingdom of God. THAT changed my life and prepared me for my BOAZ and how to position myself as his wife. Why not take your time to build a stamina for consistency while you are single. Many women are built to be "all over the place,"- multitask. With your love life however, you have to be single eyed and consistent. I am not just speaking of growth, but consistent and unwavering faithfulness to keep a marriage. Often, faithfulness may seem like a small thing but it is what keeps a marriage no matter the ups and downs that come. This morning during our devotion, we talked about how faithfulness is the very reason God is God and unmovable in His ways. Hubby illustrated to us to imagine if the Sun was late to rise one morning, it will change the ocean tides and hence shift the world and BAM! CHAOS! I guess, I have painted a picture enough for you to see how a simple consistent kiss in the morning could keep a marriage functioning. Think about the little things you do to keep yourself functioning in purpose, in your career, in life generally right NOW. You will need all of that and more to maintain and build the kind of marriage you want. So today we celebrate your strength against all odds, we celebrate your unwavering heart against all pressures. We celebrate your choice to WAIT and so should everyone in your life who genuinely cares about you. We celebrate where you are in your personal growth. We celebrate your patience in waiting for the ONE.